Top Ten Tuesday is a weekly meme created by The Broke and the Bookish. Today is particularly cruel, because it is about books we would buy RIGHT NOW if we had the means/money/gift cards to do so. Well, I don’t even know which books to choose, because obviously I want all of them, but I guess this is about books that are already out? Because how are we supposed to buy something right this moment if it’s not released, right? I am overthinking this again, let’s get started. More specifically I want the German movie edition paperback, because that’s what I have the previous books as. I really love the English covers, but since my mother tongue is German and that is also the original language the books were published in, I think it would be weird not to read it in German. Also, I like that there are movie stills in the book. But now I checked back and they HAD the paperback but now it has vanished from all the stores and only the hardcover is available. WHY DO THEY HAVE TO BE SO FRUSTRATING!? I’ve read Fitzpatrick’s other books and really liked them, so I see no reason why I wouldn’t want to read this one too. I’ve been told it’s sort of a companion to the other books, but only because it’s in the same town or something. I’ve already mentioned this in another post, meaning that I am really thinking about reading those books. 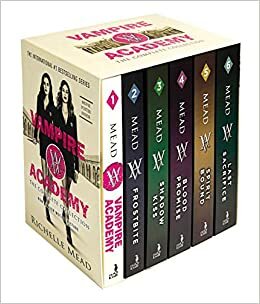 My vampire phase is more than over, but I do love box sets and I could maybe one day dedicate a whole month to just that box set? Okay, so I do own copies of all three books in the series, but they are downright ugly. It was such a precious story to me though and I would like to have pretty ones to display on my shelf. Cassandra Clare is among the authors most represented on my shelf and I don’t think that’s a surprise to anyone. 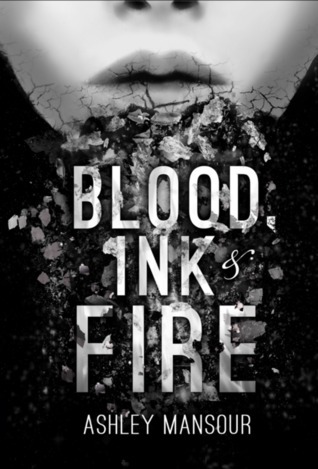 I JUST bought the TMI box set when they all of a sudden decided to release them with new covers WHICH I WANT! I don’t care if I have the books three times, I want them all. I’ve heard so many good things about this book and dreams – that’s totally my jam!!! 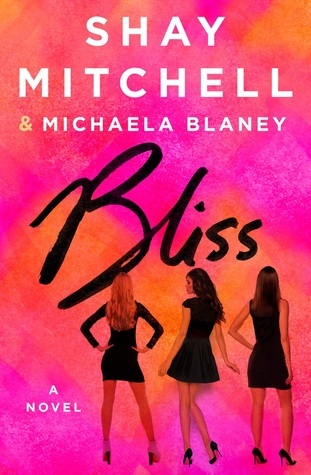 I tried to get this book as a paperback, because I know that it’s available as an ebook, but I just want it in print and that’s nearly impossible … which makes me sad. There’s just this innate curiosity about Shay Mitchell’s writing in me and I need to have it satisfied at some point. She is really funny and cool from what I saw on her YouTube channel and in interviews and so on, therefore I just need to know. his is a book I always see and want, but when it comes to going book shopping, I completely forget about it … no idea why. 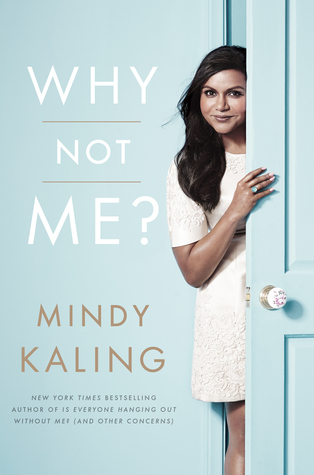 Loved Mindy’s first book, so I definitely want to read this one as well! So, which books would you buy this instant? My list was kind of random, but do we have something in common still? Tell me about it! 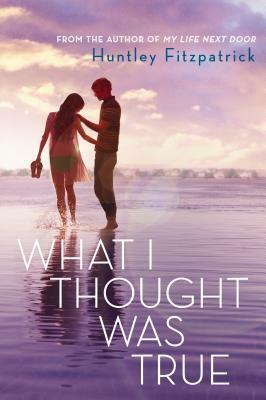 We have an author in common.I also want Hunley’s book-My Life Next Door and now seeing your post I want What we thought was true too, it has such a beautiful cover.I would add the Mindy Kaling to my list too. Great post. My Life Next Door is one of my favourite contemporaries 😀 I hope you’ll read it one day. Hahaha I totally get that! I have a couple of books on my Amazon wish list that I would love to get if I had the cash for it. Most of them are books I could use for researching future novels, but a few are just for the pure pleasure of having, like a certain edition of Alice in Wonderland. Alice in Wonderland is always a good idea! Oh, and To Kill Mockingbird. I’d like a copy of that! Why Not Me? is fantastic! I adored Mindy’s first book, but I think I might like this second one even more. She’s so hilarious! I hate how they changed the mortal instruments series’ covers (and TID) because I had one book left to purchase in the old version but they didn’t sell or manufacture them anymore! Not where I live. I should’ve bought the books ahead of time. But they have a copy available on Book Outlet I think. good luck with tracking them down! I will keep my fingers crossed for you! 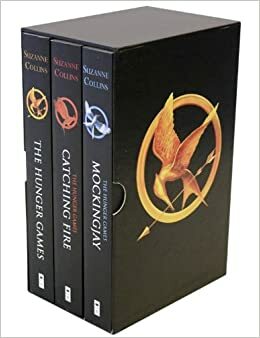 My aunt gave me a box set of the Hunger Games trilogy when I was 15. It IS a gorgeous collection. Shiny things are the best! Lucky you, having them all in the new editions. The spines are just brilliant! You have so many great books on here! 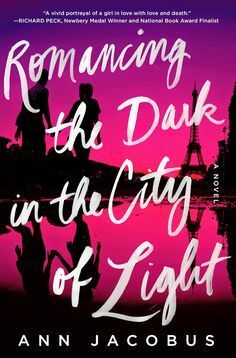 I’ve read Dreamology, Romancing the Dark… and Why Not Me? and really enjoyed all of them. I hope you get to read them soon! The one I still need to read is What I Thought Was True. I think I’d enjoy it for the same reasons you do. 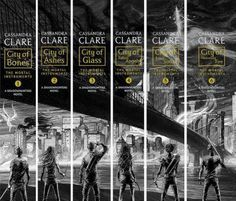 The new TMI and TID books sets are just so beautiful with those spines! I really need to get them! Great list! 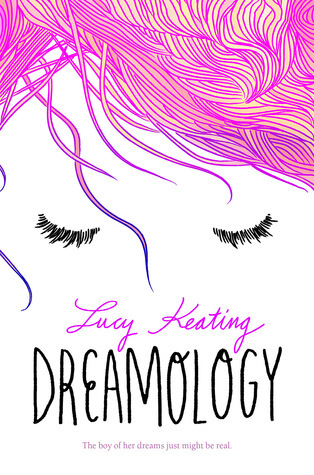 I really want Dreamology!